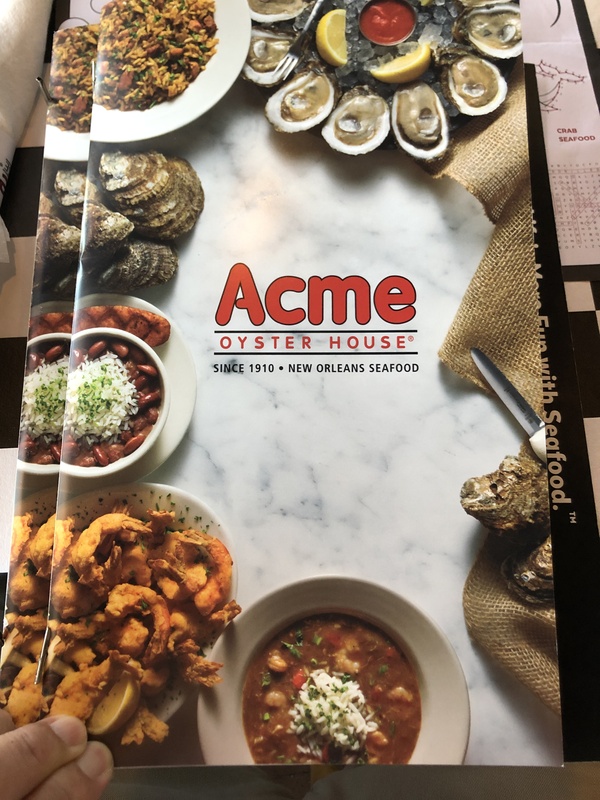 In downtown New Orleans, Acme is famous, but sometimes difficult to get into. 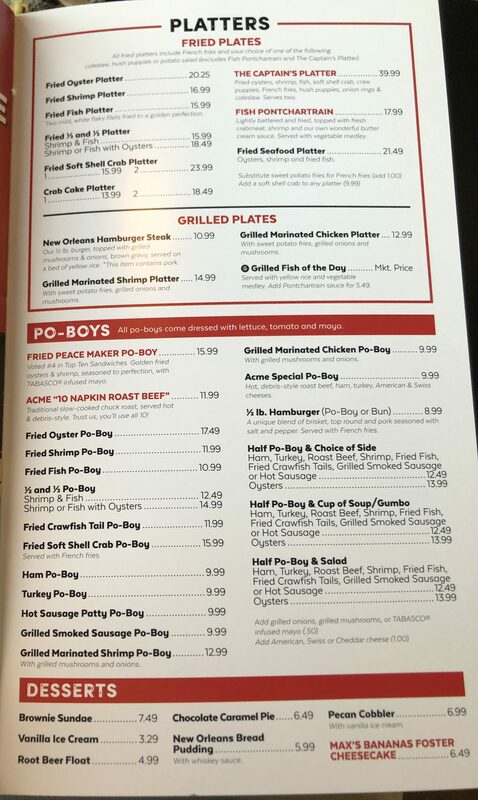 When we arrived in New Orleans, we headed to the sister branch located in Metairie. Let’s check out the menu. Known for Oysters, here are the Raw ones Grilled Oysters. The bread is to sop up all the greasy stuff! I prefer the juice, but like the raw ones better. Shrimp Po Boy with Gumbo! Crawfish Etouffee! Awesome first experience in New Orleans! 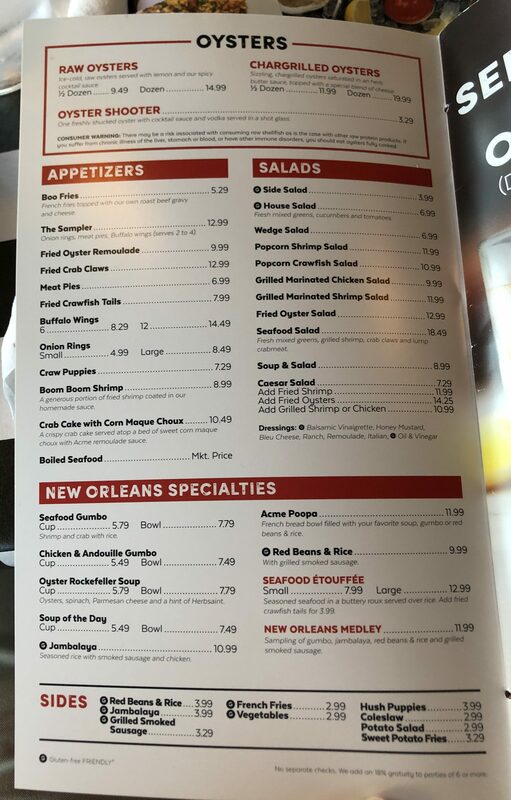 Posted in Creole, New Orleans, OystersTagged Gumbo, New Orleans, Oysters, Po Boy, USABookmark the permalink.